In 1702, the Society of Friends (now most usually referred to as the Quakers) opened a workhouse at Clerkenwell for 56 'decayed Friends and Orphans'. The elderly occupied one section of the house, with the children in another where they were employed in spinning mop-yarn. The girls also made and mended the inmates' clothing, while the boys learnt to read, write and cast accounts. The institution is described in more detailed on the Workhouses Website. 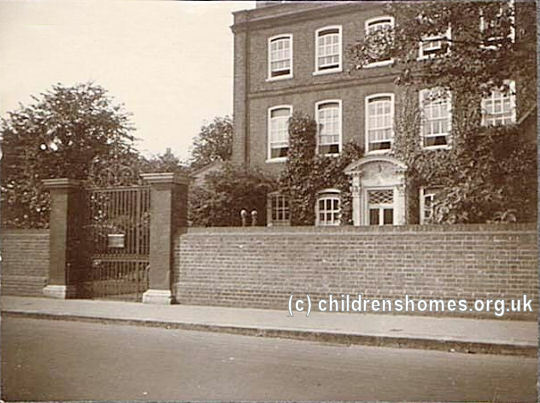 The children's section of the workhouse gradually evolved into a Quaker boarding-school. In 1786, the school moved a short distance to new premises on Islington Road (now part of St John Street), Clerkenwell, at the north side of Rawstorne Street. 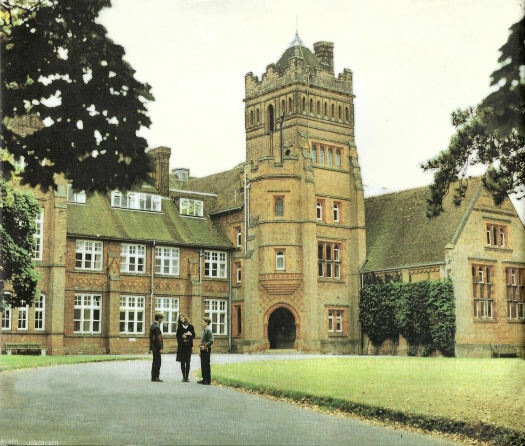 The establishment now became known as the Friends' School. However, ongoing problems with the building, such as its dampness and low ceilings eventually led to a move to Croydon in 1825. Society of Friends' School, Islington Road. 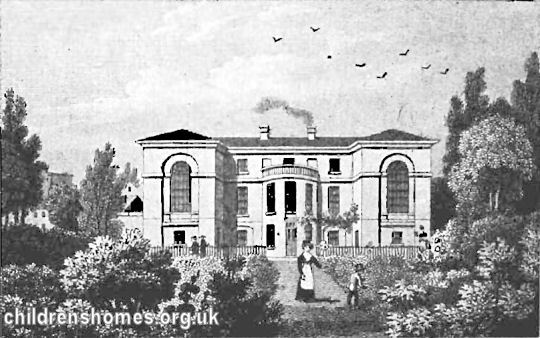 The Croydon property was an elegant house, on west side of Park Lane, dating from 1708. 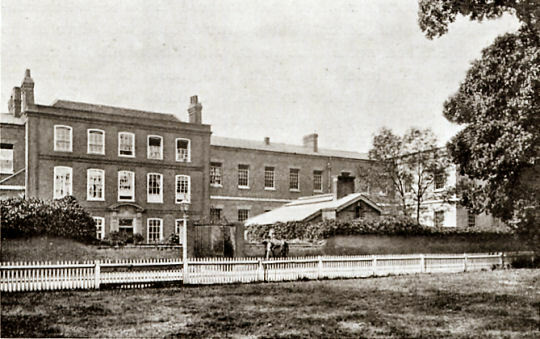 It came into operation on January 8th, 1825, with space for 120 children, later increased to 150 places. Society of Friends' School, Croydon. Increasingly concerned about the prevalence of typhoid in Croydon, the School began to look at alternatives for relocation, with Saffron Walden in Essex on its list of possibilities. Fortuitously, in 1876, the banker George Stacey Gibson, a Saffron Walden Quaker and former Mayor of the town, offered to donate a site on Mount Pleasant Road, Saffron Walden. It was described as 'beautifully situated... on an open breezy hill above the town, near the railway station and within a very easy distance of the Meeting House.' It also had a good supply of water from a deep artesian well.' Accordingly, it was decided to move the School to Saffron Walden. 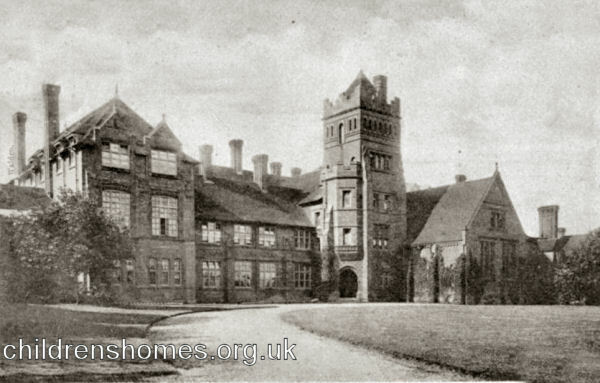 In January 1877, plans were approved for a new building to accommodate 150 children at a cost of £16,000. Building work began on June 25th of that year and the new premises were opened on August 19th, 1879. Society of Friends' School, Saffron Walden, c.1900. The Friends' School is still based at Saffron Walden and is a co-educational school for children aged from 3 to 18 years of age. Essex Record Office, Wharf Road Chelmsford CM2 6YT. Holds most of the School's pre-1936 records — see detailed list here. Friends' School Saffron Walden Old Scholars' Association — has a useful section on Archives.